BBC Pundit Garth Crooks has lauded new Arsenal manager Unai Emery over his decision to name Mesut Ozil as one of the captains in the team. The former Manchester United and Tottenham Hotspur striker spoke about Mesut Ozil and Unai Emery after naming the 2014 World Cup winner in his team of the week for Matchday 7 in the Premier League. Ozil played an influential role while wearing the captain’s armband to give the Gunners a 2-0 win over London rivals in their last league game. Petr Cech was the Arsenal captain for the aforementioned game but he lasted just 45 minutes before handing the armband over to Welsh midfielder Aaron Ramsey. The former Czech Republic international shot-stopper sustained a hamstring injury and was replaced by summer signing Bernd Leno. Ramsey also passed the captain’s armband to Ozil shortly after the hour mark when he was replaced by Super Eagles forward Alex Iwobi with the scoreline at 0-0. Arsenal took the lead in the 81st minute after Craig Cathcart diverted Iwobi’s right-wing cross into his own net. Ozil added a second goal two minutes while he was wearing the armband to wrap up the victory for his team. The win over the Hornets was the fifth successive league victory for Unai Emery’s men. 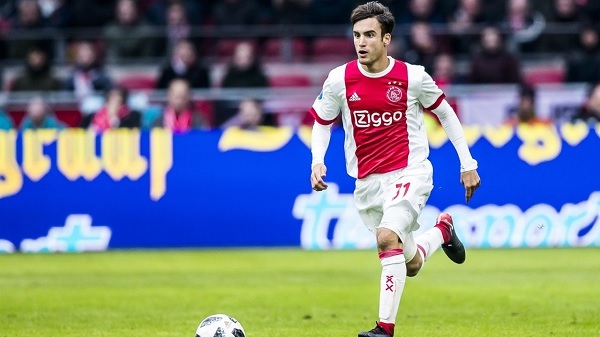 The interest from two English Premier League sides Liverpool and Arsenal for Ajax defender Nicolas Tagliafico has been confirmed by his agent and a reply is already available. Nicolas Tagliafico has been impressive so far this season and he has been a major part of the Ajax team that has been impressive in the Champions League by defeating Real Madrid and Juventus and that is why he caught the attention of a number of top European teams. The Argentina international player has refused to put pen to paper for a new deal at Ajax and that is why he has been linked with a move away with the agent already hinting that his client could be on his way out of the club. Now, Liverpool and Arsenal have learned that Nicolas Tagliafico will be heading to the Italian Serie A outfit and will not be joining any English Premier League side as the agent says Argentine players are mostly attracted to the Italian football. However, Liverpool boss will have to look another direction for options as it has been known that he wishes to add more strength to his defence despite having what has been described as the best of its kind in the English League. Arsenal midfielder Aaron Ramsey is a big doubt for the rest of the season following the injury that he sustained during the Europa League quarterfinal second leg clash with Napoli on Thursday night. The Welsh international player was subbed off for Armenian player Henrikh Mkhitaryan after he suffered a hamstring injury. Ramsey played for just 34 minutes before his exit as Arsenal booked their spot in the final four of this year’s Europa League. The former Cardiff City midfielder made a telling contribution in the first leg when he scored the opening goal in the first leg against Napoli which the Gunners won 2-0. Ramsey gave Arsenal the lead at the Emirates Stadium in the 15th minute before an own goal from Kalidou Koulibaly wrapped up the win for the hosts. On the injury to Ramsey, Arsenal manager Unai Emery told reporters that it’s serious before adding that the midfielder is a doubt for the remainder of the season. Without Ramsey on the pitch, Arsenal defeated Napoli for the second time in two days after Alexandre Lacazette scored a fine freekick in the 36th minute to give the Gunners a 1-0 win in the second leg and a 3-0 aggregate win. Arsenal will now face Spanish club Valencia in the last four of the Europa League. Barcelona goalkeeper Marc Andre Ter Stegen has the reason has explained why he didn’t celebrate the second goal against Premier League giants Manchester United during their Champions League quarterfinal second leg clash on Tuesday night. In an interview with Spanish radio Cadena COPE, the Barcelona shot stopper said that he was sympathetic towards the plight of Manchester United goalkeeper David De Gea and that was why he didn’t celebrate the second goal scored by Argentine superstar Lionel Messi. David De Gea was at fault for the second goal after he allowed the right-footed shot from Messi to squirm under his body and into the back of the net. Messi had given Barcelona the lead five minutes earlier with a left-footed strike that The Manchester United defence had no answer to. The two Messi goals gave Barcelona a 2-0 lead before former Liverpool playmaker Philippe Coutinho added a third goal in the second half with a fine finish from the edge of the box. Coutinho’s strike gave the Blaugrana a 3-0 win on the night and a 4-0 aggregate victory over the Red Devils. Barcelona will now face Liverpool in the last four of the Champions League with the first leg scheduled for the Nou Camp before the second leg in England. Arsenal legend Ray Parlour has showered high praise on Gunners boss Unai Emery for his impact at the club since his appointment last summer. Unai Emery replaced legendary manager Arsene Wenger at the start of the season after the Frenchman resigned from the job after almost 22 years in North London. 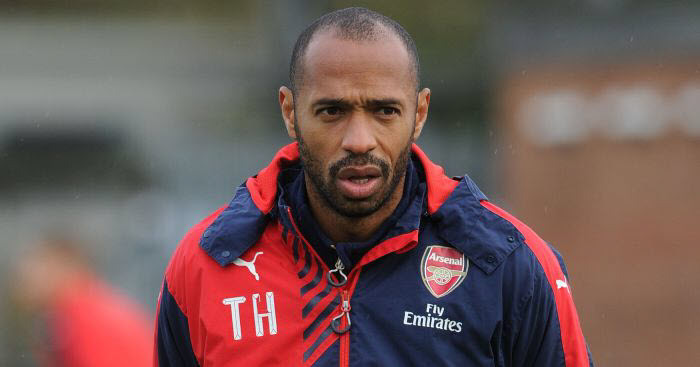 Since his appointment, the former Almeria and Valencia player has led the Gunners to the top four on the Premier League table as well as semifinals of the Europa League. Former Arsenal midfielder Ray Parlour was part of the Gunners squad that won two Premier League titles under legendary manager Arsene Wenger. The ex-England international player talked about Unai Emery extensively while he was doing his punditry work on trusted media channel Sky Sports. Ray Parlour confessed that he didn’t expect the level of success achieved by Unai Emery since his time at the club. Unai Emery and Arsenal are on course to qualify for the Premier League top four as well as also win the Europa League title. Arsenal are in fourth spot on the Premier League table with five games left to play in the quest to qualify for the Champions League. The Gunners also face a semifinal tie with Spanish La Liga club Valencia with the two legs scheduled for the start of next month. Arsenal manager Unai Emery has been lauded by one of the club’s former players for his boldness against Italian Serie A giants Napoli in their Europa League quarterfinal second leg clash on Thursday night. Arsenal legend Martin Keown was impressed with his approach for the Napoli game as the Gunners booked their spot in the semifinals of the Europa League with a 3-0 aggregate win over the Italian Serie A giants. The Gunners had won the first leg 2-0 at the Emirates Stadium before the 1-0 away win over the Italians. Former Arsenal defender Martin Keown was full of praise for Spanish tactician Unai Emery for his selection for the second leg in Naples in his column on the Daily Mail. The Arsenal manager started both Pierre-Emerick Aubameyang and Alexandre Lacazette together against Napoli and he was rewarded when French international Lacazette scored the only goal of the game. Lacazette scored the 36th-minute freekick after he was brought down outside the Napoli box. Arsenal will now face Spanish La Liga club Valencia in the final four of the competition. The Gunners will host the Spanish club in the first leg on Thursday, May 2 before the second leg scheduled for the Mestalla on the 9th of May. Arsenal manager Unai Emery will face his former club while ex-Gunners players like Francis Coquelin and Gabriel Paulista are expected to face their former side.